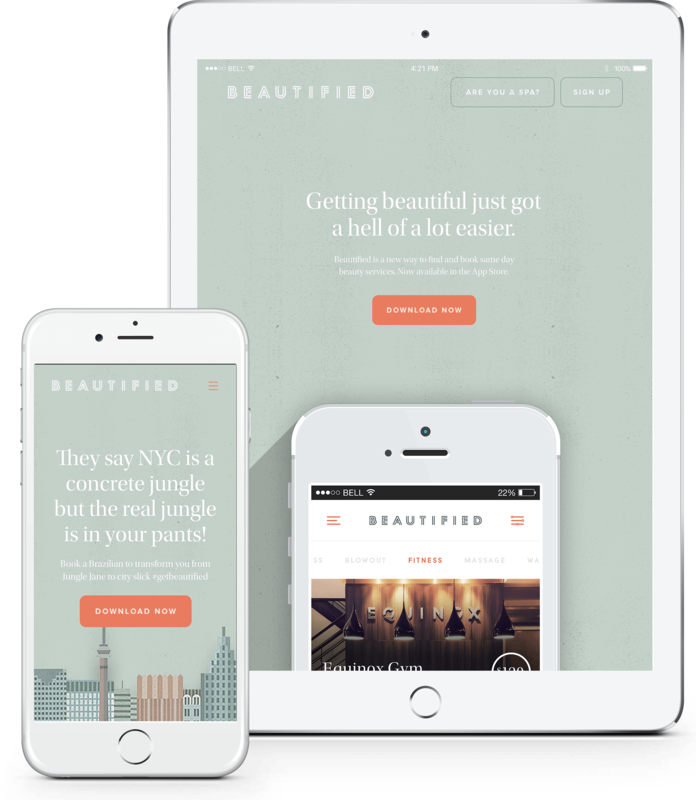 Beautified is an iOS app that makes snagging last minute hair and beauty appointments a breeze. 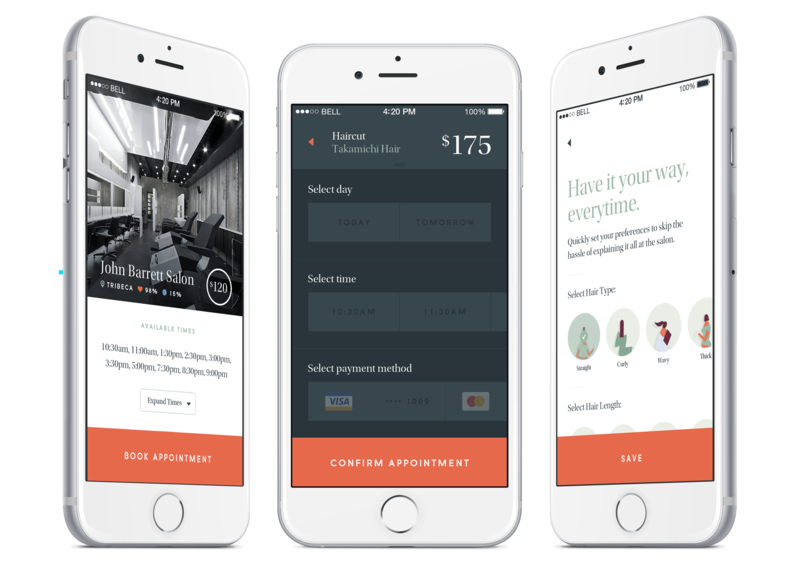 It was already in the app store, but they brought us in to give it a makeover, with a design as gorgeous as you are after a day at the salon. 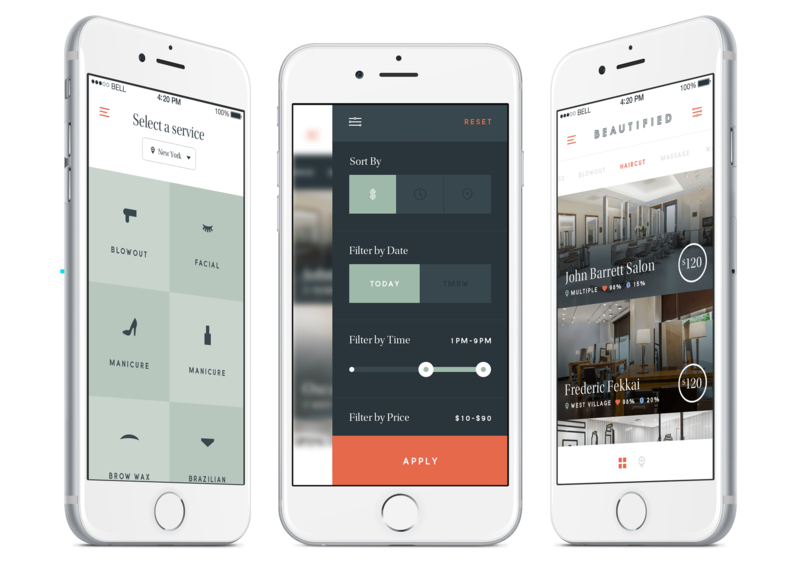 With a seamless interface, personal perfection is easy to plan with just a couple taps of your newly manicured digits. All across the Big Apple, you’ll be able to book blowouts to Brazilians in your beauty sleep that’ll leave you more of a bonafide babe.